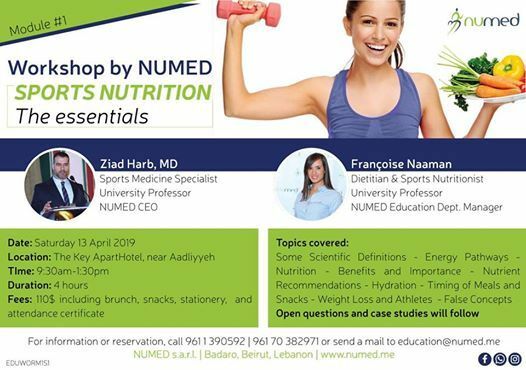 As part of NUMED's vision to spread awareness and education, it is launching the NUMED Workshops consisting of validated scientific conferences targeting dietitians, nutrition students and other fitness and healthcare professionals. Reach higher levels of education and acquire certificates in specific Nutrition, Sports and Health-related topics by attending interactive sessions with highly qualified professionals. Enroll in a session now or join 4 sessions and attend the 5th for free. Attendees will benefit from special discounts on their purchases along with giveaways from NUMED. 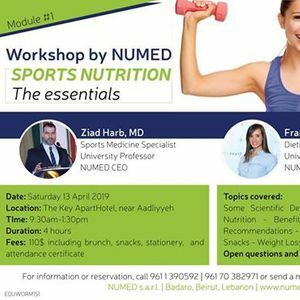 The first workshop is part of the first module consisting of 5 sessions and tackles the essentials and the science behind Sports Nutrition. The rest of the sessions in this module will elaborate in detail on Sports Physiology, Supplements, Doping, Hydration and Sports Injury. Places are limited; register now! 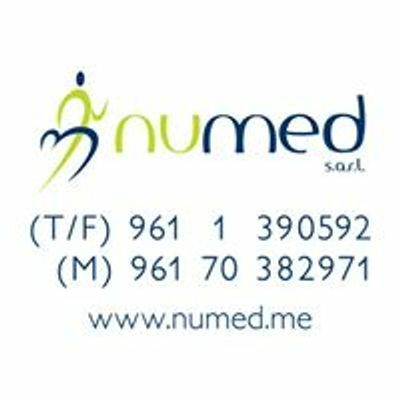 For further information, call our numbers: 961 1 390592 or 961 70 382971 or send us an email: ZWR1Y2F0aW9uIHwgbnVtZWQgISBtZQ==.